Clothing enthusiasts, rejoice! 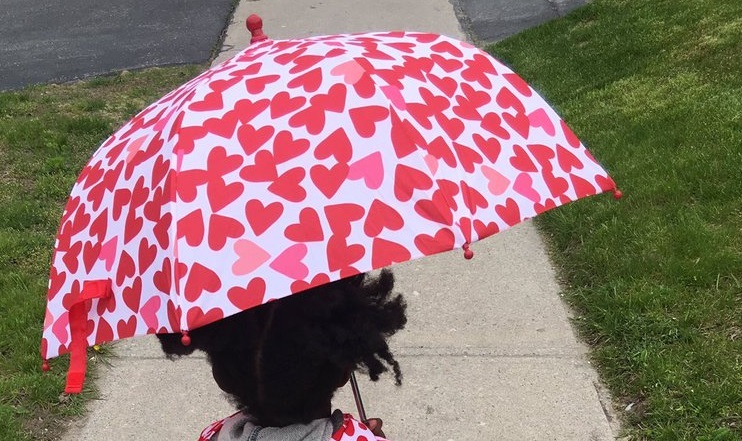 This little girl is defying the weather to be total #fashiongoals, and we’re obsessed. If you needed a dose of fresh clothing inspo, look no further than this Twitter sensation. According to her mother, this little girl refused to wear anything other than the incredible outfit featured in the photo. Pink, patterned, and bright. And the best part? It wasn’t even raining! In addition to being a mini-boss, this fashion-forward kid is inspiring the rest of us to do whatever we want when in comes to fashion. Maybe you’ll rock an umbrella in the sun this week as well. As expected, many people online had strong and positive reactions to this little girl’s clothing choice. They are not wrong! The pictured girl, the daughter of Twitter user @WannasWorld , is clearly a trendsetter. You never know, she might just be the next big name in fashion design. What is so amazing to see is just how supportive her mother was. Instead of telling her daughter to change, she took her opinions into consideration. We all can agree that having your parents trust you with decision like dressing yourself, is important. It seems like little girls everywhere are pushing boundaries and expressing themselves all the time. Recently a young girl had a ‘poop-themed’ birthday party. And who can ever forget the amazing little girl who dressed up like a hotdog for her dance class? In all of these instances, the parents were encouraging, and downright proud of their daughters. As a parent, there is no greater gift than seeing your child growing into themselves and being confident about their opinions. And if they continue being true to themselves, who knows what the future might hold for them! We certainly see a fashion house in the running for this #fashiongoals gal!